Type of cellulite removal procedure depends on the level and type of cellulite present. There are few effective treatments for cellulite. Most require the direct application and supervision of a dermatologist in NYC. The most common options for treating cellulite include: Massage, Skin fillers, Laser treatments, Cellulaze, Radio shockwaves, Mesotherapy. Make your appointment today with a leading dermatologist Dr. Bard of Dermatology NYC to determine the level/type of your cellulite and to get an appropriate treatment option. Cellulite is the unsightly dimpled or lumpy texture on your skin. You may commonly see it first around the front and back of your thighs and buttocks. Cellulite is often referenced as having a cottage cheese or orange peel texture, which is never how you want to think of your skin. Cellulite is a common skin condition that plagues nearly 90 percent of women in industrialized nations. It is thought to be a modern problem because it’s absent in medical texts, photographs, literature, and paintings from previous generations. It’s also absent from many indigenous communities or developing countries. Women get cellulite more than men. This is true because of the formation of fibers in a woman’s skin. Men’s collagen fibers run parallel while women’s crisscross. This crisscross pattern allows fat to push through more easily as skin breaks down. Plus, in general, women have a higher percentage of body fat than men. Cellulite worsens with age. Again, this is true. Your skin naturally breaks down more with age. As women get older, their body produces less estrogen, which weakens the connective tissue in their skin. This allows fat to push through and create cellulite. A decrease in both collagen and elastin in your skin contributes to an increase in cellulite as you get older. You can improve your cellulite through your diet. There are a number of foods that help prevent and reduce your cellulite. Vegetables like yucca, yams, red peppers, radishes, and tomatoes provide hydration, essential vitamins, magnesium and phytoestrogens. Also, simple hydration drinking plenty of water keeps your connective tissue strong and healthy. Smoking cigarettes promotes cellulite. Smoking is a known cause of a reduction in collagen and elastin generation. Both collagen and elastin are essential to keeping your skin healthy and strong. 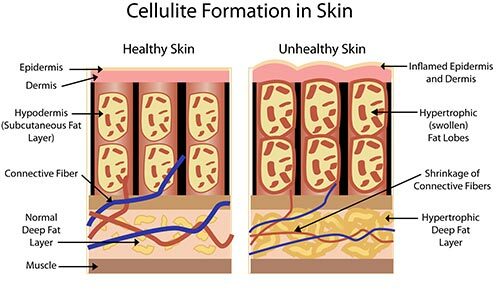 When you reduce either, you promote the breakdown of your skin, which is the cause of cellulite. Cellulite is caused by diet. This statement is debatable; however the thought that cellulite is merely caused by a high-fat diet is a complete myth. Instead of fat, some are wondering if cellulite is caused by some processed foods due to the fact that cellulite is a more widespread condition among people in industrialized countries. Cellulite is found on people of both healthy and unhealthy weights. Cellulite is found on only out-of-shape people. This isn’t true at all. In fact, many athletes and models struggle with cellulite. Being overweight or lacking muscle tone do not in themselves point to a likely cellulite candidate. Cardio exercises are best for battling cellulite. This is another belief that’s been shown to be incorrect. Running, biking and other cardio exercises do not prevent cellulite, which is a skin condition. However, strengthening exercises have shown to reduce cellulite. Increased muscle mass burns fat even when you are not working out. But every strength training routine should have about an equal cardio routine. Firming creams reduce cellulite. There is little to no evidence that over-the-counter creams reduce cellulite. They claim to help with stimulating ingredients such as caffeine, ginger, and green tea, but despite no evidence of effectiveness, consumers are spending lots of money on them. Liposuction is the best method for getting rid of cellulite. Liposuction is not just an ineffective treatment, but it may make your cellulite worse. The procedure makes the cellulite more visible because liposuction distributes fat unevenly. These facts and misconceptions reveal only the tip of the iceberg when it comes to what people think about cellulite. Your dermatologist in Manhattan can help you by providing a more comprehensive strategy to tackle your cellulite from a variety of directions. Follow these instructions for positive results. Grade 1: There are no clinical symptoms when you’re standing. The cellulite is only visible sometimes when you’re sitting. Grade 2: Cellulite can be seen in some positions while you’re standing, but it’s still only mild to moderately visible. Grade 3: This type of cellulite has the commonly referred to “orange peel” appearance. It’s constantly visible. Massage: A fascia-focused massage has been shown to be effective in reducing cellulite in many people. There are a number of products that claim to reduce cellulite by focusing on the fibrous connections that allow the fat to protrude. There are no studies on these. Although, because they’re the most affordable options and have no negative side effects, they may be worth adding to your treatment plan. Skin fillers: Dermal fillers originally used for wrinkles in your face like Restylane and Radiesse can be used safely and effectively on cellulite. Skin fillers offer only temporary relief of your symptoms, and they’re only effective in milder cases on thinner patients. Laser treatments: A laser is focused on the trouble area and after a couple of treatments, you’ll notice a reduction in the overall appearance of your cellulite. 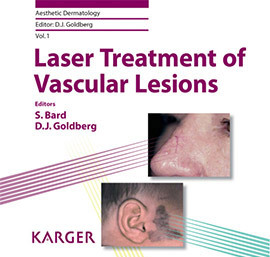 There are a couple different laser treatment options. Cellulaze: One of the more reputable laser treatments, this procedure uses a small laser that’s inserted under your skin. It then heats up and melts the fat around the trouble area. Cellulaze is a very expensive treatment option, and because most insurance companies consider cellulite a cosmetic condition, you typically have to pay for this yourself. 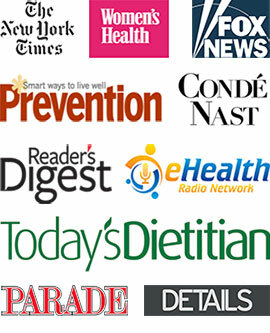 Radio shockwaves: A couple different treatments are available. Your dimpled area is broken up by applying radial shockwaves. These treatments are moderately effective and much less expensive than laser treatments. Mesotherapy: Arguably the most effective cellulite treatment, mesotherapy was developed in France and came to the United States in 1999. The procedure involves a series of injections applied directly into the cellulite. After a few treatments, it significantly reduces the visibility of your cellulite. Do you have any questions about Cellulite? Would like to schedule an appointment with an award winner, internationally recognized, best rated laser dermatologist in Manhattan NYC Dr. Susan Bard of Dermatology NYC? Please contact our Midtown or Upper East Side NYC clinic for consultation with cosmetic and laser dermatologist.